We've raised our expectations for portable fighting games in the last decade, especially in the past year. The last time Namco brought Tekken to a Nintendo handheld, it produced 2002's Tekken Advance, which received praise from reviewers at the time but in hindsight was a poor facsimile of the console and arcade experience -- like the Kid Cuisine version of spaghetti and meatballs, fortified with essential vitamins and minerals, but, c'mon son, that ain't a proper meal. Another Tekken Advance (that is to say another handheld port that's far from arcade perfect) wouldn't stand today, not when releases like Super Street Fighter IV 3D and Ultimate Marvel vs. Capcom 3 set the standard for fighting games you can play on the go. Those releases don't stop at just emulating the big screen experience; they raise the bar for what all portable titles can accomplish, online and off. That is why Namco Bandai and Arika's Tekken 3D Prime Edition will disappoint both new and casual Tekken fans. Because while the core game -- the parts in between "Round One, Fight!" and "K.O. You win!" -- are just as great as the Tekken 6 I've played on consoles and in arcades, everything else is lacking. Well, everything except for the controls. I consider it a miracle that despite the 3DS's layout, my hands adapted to my preferred style of Tekken play, with my thumb on the directional pad and my index/middle fingers on the tiny ABXY buttons. I was able to pull off combos and juggles with ease after a half-hour of adjustment. The complaints begin on the menu screen, when your search for the requisite Arcade/Story mode turns up nothing. There's a Quick Battle mode in which you can choose from one of 40 characters -- an impressive count, all unlocked at the beginning -- and jump into ten consecutive matches against the CPU, but there are no cutscenes or twist endings to reward you before the credits roll. If you want a Story mode, you will have to settle for the pack-in 3D movie Tekken: Blood Vengeance. I'm thrilled to see Namco Bandai try something unconventional like including a full-length film with a 3DS game, but without a story mode revealing the backgrounds and motivations of those 40 characters, there is little incentive to try out the fighters you're unfamiliar with. Blood Vengeance is a pleasant enough film, much better than the travesty that was Tekken: The Motion Picture, but the video player is garbage. It fails to mark your place if you exit the movie mode and it lacks any form of chapter selection. Aside from its Quick Battle matches and the movie, Tekken 3D provides a Versus mode, a Practice mode, a Special Survival mode and 765 Tekken Cards with 3D images you can unlock and trade via Street Pass. Costume selection is limited to two outfits with color variations, and Tekken 6's item customizations are nowhere to be found. The Versus mode is where you will spend the most time, fighting against someone else locally (multi-card only) or online. And while I would have been over the moon with any kind of online experience for a handheld Tekken two years ago, compared to Capcom's launch effort in Super Street Fighter IV 3D, the network multiplayer in Tekken 3D Prime -- a game that shipped nearly a year later -- leaves much to be desired. Some of those desires include filtering out people who use the novice-friendly touchscreen move/combo panels, enabling fight requests from online folks while you play offline modes, and allowing you to change characters or stages between rematches with strangers. I would also appreciate not having to flip the 3DS's wireless switch on and off to join a new match thanks to strange errors that pop up after you finish a fight with someone else. Of all the issues with online play, the lag during matches is the worst. Even when playing against people in your local region, and even with the stereoscopic 3D effect automatically turned off for online battles, lag manages to stutter into bouts more often than not, typically at the worst possible moments. In a game where juggles and whiff punishments are everything, you never want to lose a match feeling that you could have turned it around were it not for lag. The issue is thrown into sharp relief when you finally manage to get into a lag-free match. It's like challenging someone at the arcade, with all the thrills of clutch victories and perfectly timed counterattacks. You feel like you could play Tekken 3D online like this for hours. When everything comes together, this is the most exciting fighting game on the 3DS. But while the 3DS adaptations of Super Street Fighter IV and Dead or Alive feel robust, the same can't be said for Tekken 3D. 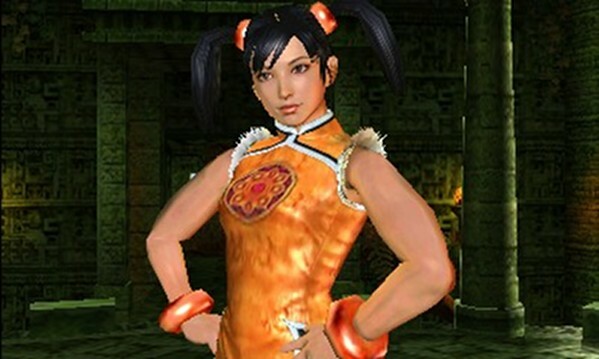 No, Tekken 3D's offerings come off feeling nobust. And if you try to play against someone online, slowbust. If 3DS owners are lucky, Namco Bandai won't wait another ten years to release another Tekken for Nintendo portables, and hopefully it will build on Tekken 3D's strong foundation to create a complete Tekken experience. This review is based on a retail copy of the Tekken 3D Prime for 3DS, provided by Namco Bandai. Eric Caoili is a co-editor at the inimitable 3DS-focused site Tiny Cartridge, as well as a news editor at game industry trade publication Gamasutra. You can follow him on Twitter at @tinycartridge.